Apple has sent out an email to people working in the music business announcing the end of iTunes LPs, reports Metro. The article says it’s beginning of the tech giant’s plans to stop selling downloads altogether, but the Sellers Research Group (that’s me) says that’s not the case. iTunes is a format for interactive album artwork that Apple introduced in 2009. It allows users to view multimedia elements alongside music. The company’s reasoning was that the format would make album downloads more appealing. However, the format apparently never caught on. According to Metro, Apple will no longer accept new submissions of iTunes LPs after March 2018. Also, existing LPs will be deprecated from the store during the remainder of 2018. Customers who have previously purchased an album containing an iTunes LP will still be able to download the additional content using iTunes Match. “Although this one decision does not spell immediate doom for iTunes, music industry sources and experts said it’s evidence which chimes with rumours that Apple is intending to stop selling music downloads and shift to a subscription model,” the Metro article says. 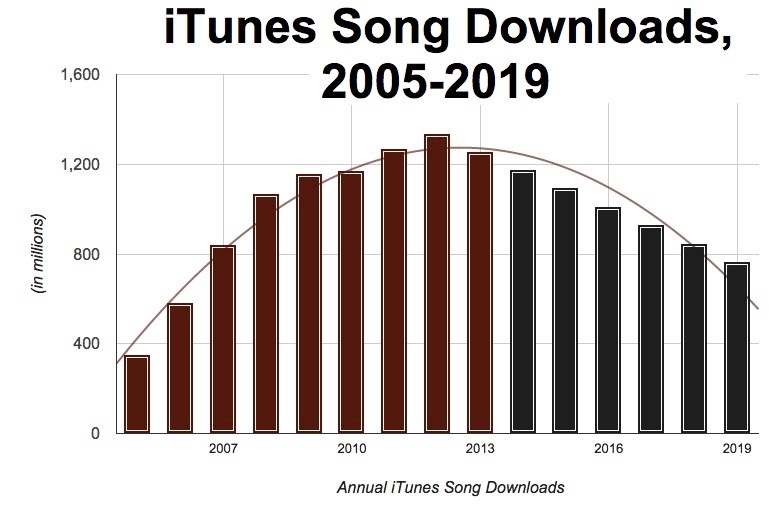 The reasoning is that streaming music is on the rise (Apple Music reportedly has 30 million subscribers with that number growing), while song downloads are on the decline (an estimated -25% or -30% in 2016). However, iTunes music downloads will still be worth an estimated $600 million in 2019, according to Digital Music. Sure that’s down from $3.9 billion in 2012, but it’s still $600 MILLION bucks, so the Sellers Research Group says that, iTunes LP or not, Apple will continue to let you buy albums as well as individual songs. That’s what I prefer to do. Maybe I’m a dinosaur, but I suspect there are lots of folks like me — and always will be. Again, let me reiterate: Apple doesn't plan to quit selling music. However, Apple, if you are planning on stopping iTunes music sales ANYTIME, please me know now, so I can go ahead and start spending my money elsewhere.